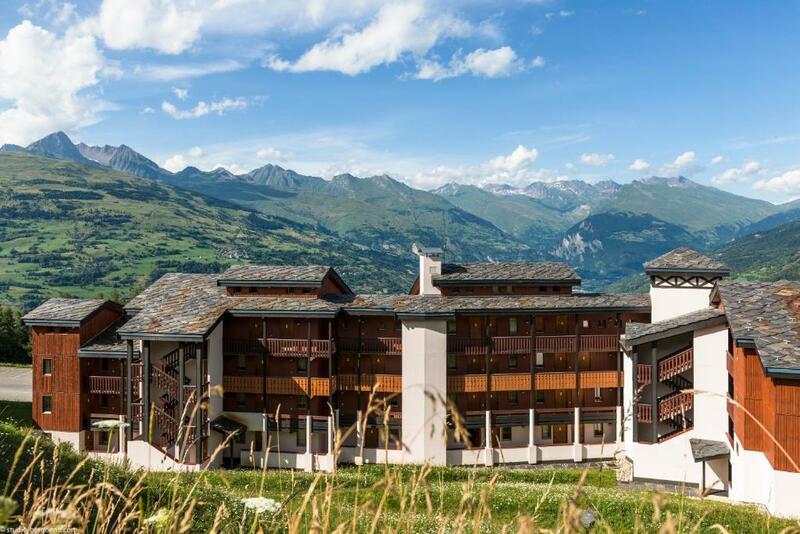 The location is great, the view on the Mont Blanc and surrounding mountains is stunning. The village is small but nice and has som shops and restaurants. Bread delivery was great, 2 bathrooms was a bonus. Lovely views. 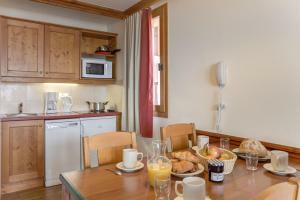 Good kitchenette facilities and ample room for 4 friends sharing. Bread facility (ordering via reception) was really useful as the bakery is at the bottom of the hill. 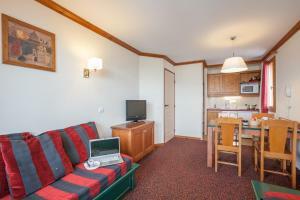 Great location and nice flat. Would benefit from the washing machine. But overall everything is nice and comfy. Just about able to ski down to accommodation. Would be easy with normal ski conditions. The location was excellent so we could jump on the board and make a first decent to the nearest teleski. It was nice that you could order each morning at the reception bread and croissants. Also the hotel provided us a fondu kit so we made ourself a nice dinner. Big apartment nice aranged with all what you need in. We have the view to the slope so was wonderful. In the middle of the piste you can jump on ski and go. Nice staff, apartment very clean, the only problem with towels that are changed once per week doesn’t matter if you want to pay for clean once’s. The position of the apartment was really good. The temperature in the apartment was managed by us. 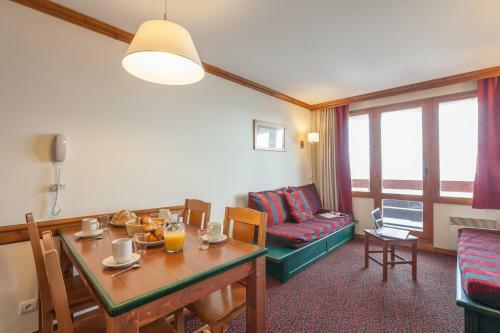 Location close to the ski slopes right next to the Montchavin Red slope for ski in-out, and a short walk up to the Blue Slopes, Cable Car and Drag lift. Great view from the balcony including Mont Blanc. Les Coches is central to all the vast Paradis Ski ski fields. Lock in a great price for Résidence Pierre & Vacances La Marelle et Le Rami – rated 8.1 by recent guests! 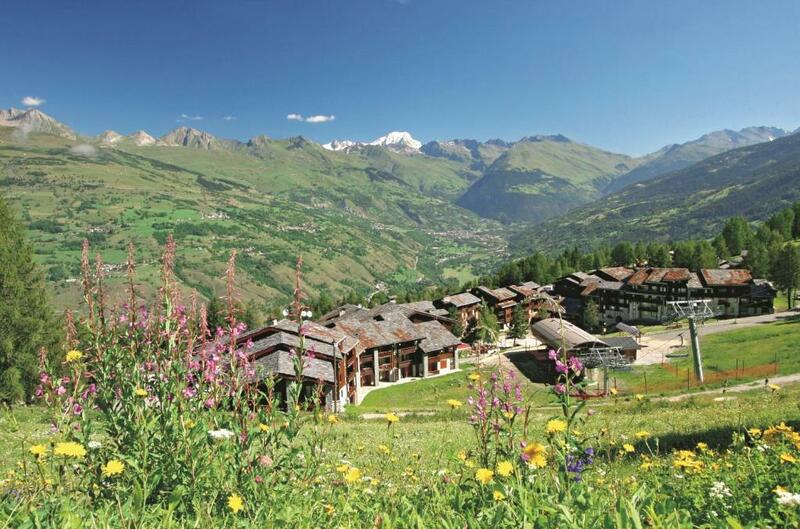 Résidence Pierre & Vacances La Marelle et Le Rami is located on the edge of the forest in the Tarentaise Valley, in a picturesque Savoie village facing Mont-Blanc. Apartments are spacious, comfortable and fully equipped with private bathroom and kitchen. They include sheets, pillow per person, beds with quilts, bathroom linen, dishcloths, cleaning kit and end of stay cleaning. There is a shopping delivery service available at an additional cost and bread and pastries delivery service is available at the reception. 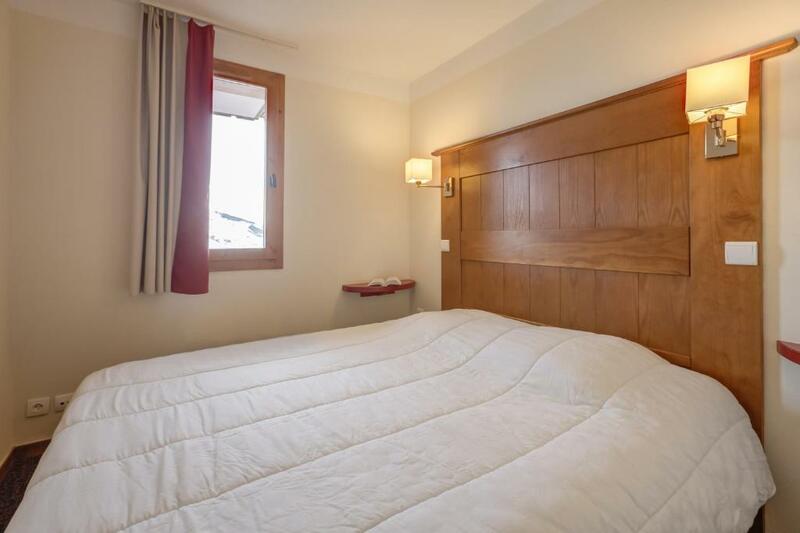 Résidence Pierre & Vacances La Marelle et Le Rami is very close to the ski slopes and resort center in a relaxing mountain setting. Guests staying for more than 1 week will have free access to the outdoor swimming pool. Upon prior reservation and depending on the date of the stay, guests can benefit from reduced rates for ski passes and equipment rental. 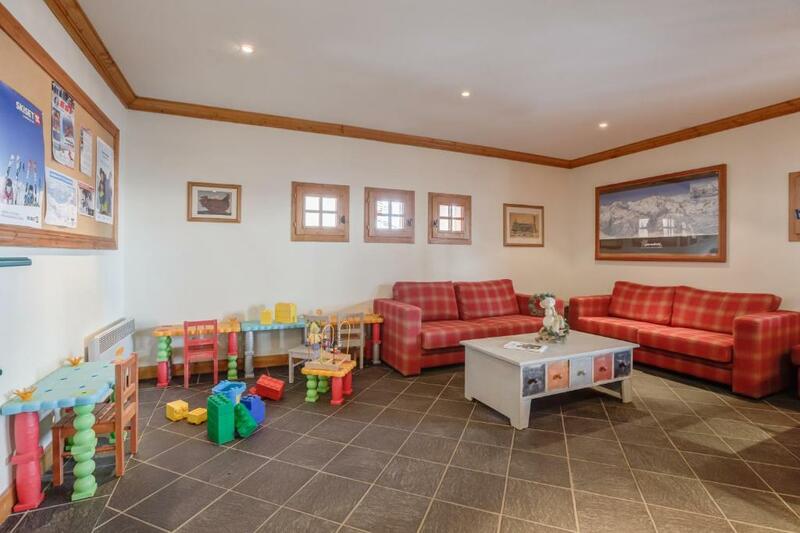 This property is also rated for the best value in Les Coches! Guests are getting more for their money when compared to other properties in this city. When would you like to stay at Résidence Pierre & Vacances La Marelle et Le Rami? Living area with 2 single beds and one rollaway bed. One bedroom with one double bed. Living area with a sofa bed for 2 people and one bedroom with 2 single beds. This studio features a living area with 2 single sofa beds and a sleeping alcove with 2 bunk beds. It has one independent bathroom with a bath. The fully equipped kitchenette opens on the living area. This apartment features a living area with 2 single sofa beds. There is one bedroom with a double bed. It has one independent bathroom with a bath. The fully equipped kitchenette opens on the living area. This apartment features a balcony, microwave and kitchenette. House Rules Résidence Pierre & Vacances La Marelle et Le Rami takes special requests – add in the next step! Résidence Pierre &amp; Vacances La Marelle et Le Rami accepts these cards and reserves the right to temporarily hold an amount prior to arrival. Résidence Pierre & Vacances La Marelle et Le Rami accepts these cards and reserves the right to temporarily hold an amount prior to arrival. After booking, you may reserve the location of your accommodations by calling the residence. Location preferences are subject to availability and are available at an additional cost. Prices include : accommodations, bath linen (1 big towel + 1 small towel), cleaning linen (kitchen towel + bath mat), cleaning kit, final cleaning (except for kitchen area and dishes), bed linen, basic WiFi access (to 5 devices to navigate, read e-mails and research), a TV, all taxes and fees (except for the tourist tax ). Please note that free limited WiFi access is available for up to 5 devices. Unlimited WiFi access can also be requested with an extra charge. Please note that reception opening hours are subject to change, please contact the residence before your arrival. For every length of stay, beds can be made upon arrival for an extra cost per person. A baby kit, suitable for children under 2 years weighing less than 15 kg, is available at the property at an additional cost. The kit includes: 1 cot, 1 high chair, 1 pushchair, 1 changing mat. Subject to availability. A damage deposit of EUR 500 is required on arrival. That's about 560.12USD. This will be collected by credit card. You should be reimbursed on check-out. Your deposit will be refunded in full by credit card, subject to an inspection of the property. No sun on the balcony and reception staff. A little unhelpful. Location a bit too far to walk with 3 children and all the kit. Kitchen too small for six people and living area smaller than anticipated especially for six people. Not having anything to play dvds on. Now serverice at all. please remember you need bring everything which includes toilet paper. Bathroom was a little cramped as the room was in the roof. Over the bath shower was about waist height! 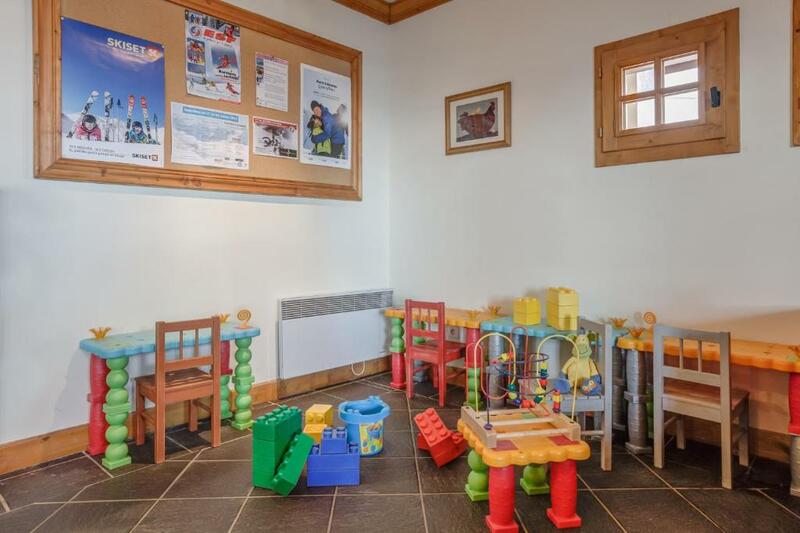 There is a ski room but no boot drying facilities...this would be really handy! ...you can use swimming pool for free”. In fact - there was NO swimming pool at all. 4. Safe in the apartment. When we tried to lock it, we couldn’t do it. The receptionist told us that we need to pay extra to use the safe. And again when we booked this apartment the Booking.com promised us “safe is included”. Still we had nice vacation and a lot of skiing. And we would like to come back to Les Coshes. But we’ll never stay at Pierre Vacances any more. And will not recommend this place, because the administration is not welcome to their guests. The place and location is nice. But we have a few “BUT”, that made our vacation not so comfortable. 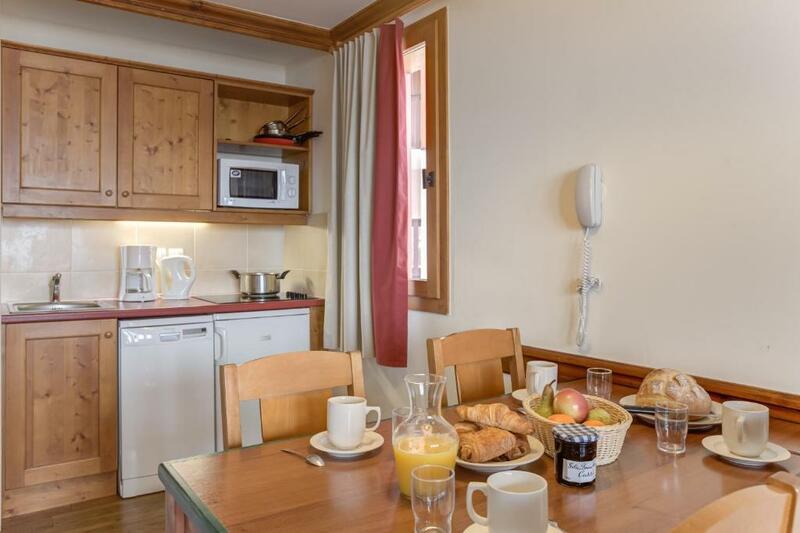 We stayed at Pierre Vacances La Marrele from 31st of December till the 8th of January 2019. 1. We came by car from Russia. It’s a long trip. We arrived at Les Coshes late in the evening - something about 22.00 pm. And NOBODY met us at the reception. There was no one at the desk and the light was off. We tried to call the phone numbers we had, but nobody answered. We we very tired and spent about 40 minutes to find out how to get inside our apartment. We even were close to call the police. The other guests that came in from time to time also didn’t know how to help us. Fortunately one man knew - he advised us to open the safe that was standing on the desk and take the key inside. The man told us that the pin-code to open the safe is in our booking information. Why? Why nobody from the administration informed us about this quest?! They could write us a letter or leave the announcement at the reception: “Dear guests, if you arrive later than 19.00pm and if you arrive from 12.00pm till 17.00 pm (yes, at this time the reception is also closed) open the safe on the desk with the pin-code in your reservation”. And that’s it. But Nobody did it! Thank’s that man who fortunately went by to his apartment. The next day I tried to explain the receptionist that it’s not nice to meet guests this way. But she didn’t care at all. When we left the apartment I looked at the reception and tried to find any announcement about the quest with safe, but again there was no information. We travel a lot and we travel a lot in Europe, but we never get in such situation. 2. Wi-fi. It didn’t work. Every day (morning, afternoon, evening) it did not work. We called for technician, he came and fixed something, but it still did not work. It never works! 3. Swimming pool. When we booked this apartment with Booking.com, it said: “if you book apartment for more then 7 days, you can use swimming pool..
Wifi was failrly weak, kept dropping frequently. The apartment is a bit outdated, the beds are very small. It must have been nice in the 70's or 80's but maybe we expect a little more from it nowadays. If it was mine I would freshen it up with some nice furniture in today's colours. That being said, it is my personal experience and for others it just might be perfect. When we arrived at night, one room didn't have covers for pillows and bed sheets so we had to wait until morning to get them and improvise. Also the bathroom kit was missing so we got them the next morning. One of the single beds had a bad mattress and it wasn't very comfortable, but it was Ok in the end. We didn't go there for comfort :) and we were too tired anyway after spending all the time on the slopes. The towels are changed once per week and you don’t have possibly even if you pay to get a clean once. The apartment was very small, the bedroom had 2 single beds, very close together with little room to move. The bathroom was the smallest I have ever seen. If there were 4 people in the apartment I don't know how they would have managed. Not one TV channel with a word of English. I know we were in France but as I was not skiing it would have been nice to even see the news.